SCF’s Dan Holloway recently had the pleasure of speaking with John McDonnell, Founder and Principal at SunRenu Solar, one of the premier solar EPCs in Arizona. We’d like to thank John for his time, and his fantastic insights on the Arizona solar energy market. 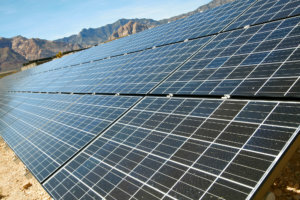 DH: Can you give us your overview on the current state of the Arizona solar market? JM: The residential solar market remains robust, despite net metering being eliminated in prominent service territories and on the way out in others. Rates are still attractive however, to warrant small to medium sized system installation on rooftops. As for commercial, we are seeing Utilities in a race to change rate structures resulting in heftier demand charges (vs. kWh usage). We are still seeing a lot of activity in smaller C&I and the non-profit industry as a whole. There aren’t a lot of pure play commercial solar developer/installers in Arizona anymore, so SunRenu has been very busy lately. DH: What types of off takers are you finding the most traction with in AZ? JM: Schools, Churches, and Municipalities have been great customers for SunRenu. With Utility rate fluctuation, smaller projects have tended to provide higher savings for off takers. Sites with multiple meters have actually been more attractive to us. For example, the large energy draw of a Church or a School campus with 5 meters (for instance), allows a potential fit into smaller rate plans. The less the off taker uses per meter, the more they pay per kWh, which can make solar that much more attractive. Dan: Are there any new policies or incentives that are being announced this year or next that you think will have a significant impact on the AZ market? JM: Each Utility has their own unique approach to renewable energy since local incentives were discontinued back in 2014. Since then SunRenu has been installing projects, almost exclusively, in areas with high insolation rates and relatively low install costs. The Federal incentives are ample to maintain the solar deployment in the State, however with the reduction in ITC looming, this will negatively impact future PPA/SSA rates and will have negative impacts on EPC margins as well. In addition, we are seeing Utilities take proactive steps to assist the grid voltage during midday when solar production is at its peak, and we foresee a storage incentive on the horizon. DH: What are the challenges that remain that you feel are still holding the AZ market back from a broader implementation and do you think there is a big market for solar & storage in the AZ market? JM: Utility rate structures are preventing the mass adoption of solar. Utilities are cleverly shifting kWh charges into kW demand charges in order to minimize the effect of potential solar benefits to off takers. One of the major Utilities was recently caught providing over $10M in campaign backing for local energy commissioners in a effort to allow these rate shifting plans to be approved. High storage costs have also been a factor in solar + storage adoption. There are some excellent storage technologies on the market now, but making them pencil inside a third party owned PPA/SSA is still a challenge. Storage only works in Arizona if the customer demand spikes are very “peaky”. Going forward, as the cost of batteries continue to decline, it will be easier to integrate storage into solar systems, and to provide the highest possible savings to Arizona customers. DH: Do you feel that Behind the Meter or In Front of the Meter models will be prevalent in the coming years? JM: Net metering is the primary driver that allows solar to thrive in Arizona. However, Utilities are starting to eliminate Net Metering as an offering to many AZ customers. In the future, this will force the adoption of behind the meter projects coupled with storage, and it appears that the market is headed in that direction. Dan: Where do you think the AZ market will be in 5 years? JM: As an eternal optimist, SunRenu sees exponential growth happening over the next 5 years. It’s going to take a combination of higher utility rates, lower cost equipment, better panel efficiency, and significantly lower battery costs for our market to take off, but many of these trends are already happening. The Utilities are only putting a band aid on their energy revenue challenges, by shifting into more load based charges. SunRenu believes that it’s only a matter of time before solar is economically viable without any incentives whatsoever. We’re getting there slowly but surely. If you are interested in financing a commercial or utility-scale solar array, or in quickly pricing potential projects, please visit our registration page to learn more and join the SCF Suite℠.